- Not all of the weekend will be wet... Odds for a shower will operate in the 30% or less range Friday night, Saturday, and Sunday afternoon. 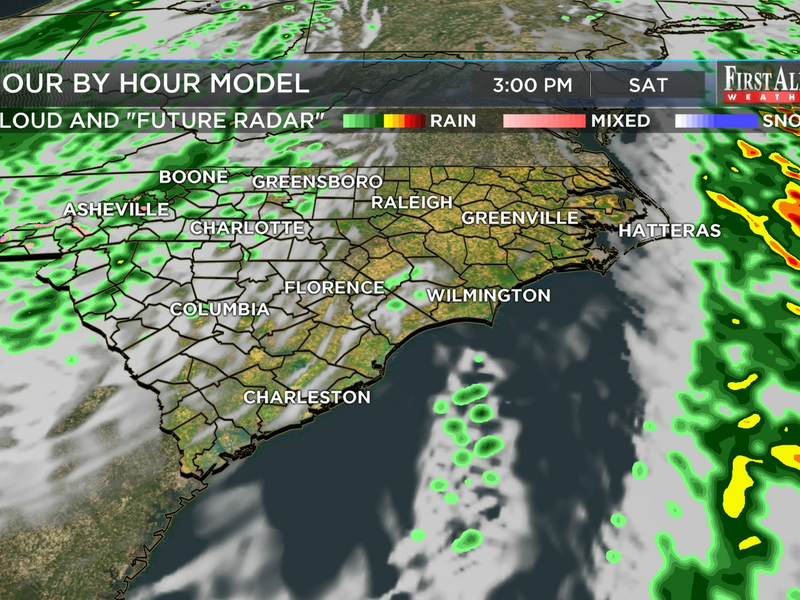 The highest shower odds - 50 to 90% - will be Saturday night and early Sunday. Total weekend rain amounts of around half an inch make sense and this ought not to cause flooding. - “People, pets, plants, and pipes” cold... A 24 to 36-hour stint of frigid temperatures in the 20s and 30s remains likely from Sunday night into Tuesday morning. Apply extra care, including layering up if you’re headed to an MLK Day parade! Wind chills will plunge as low as the 10s late Sunday night and Monday morning. - Tailor your forecast to your exact location... 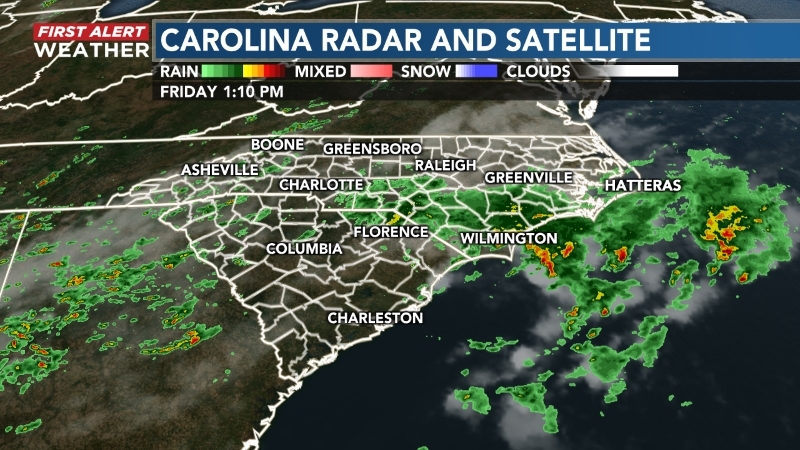 The numbers posted here reflect those you’ll see for the WECT Weather App’s Wilmington Metro zone. For possibly slightly modified temperatures and rain chance numbers for your zip code, tap into your free WECT Weather App wherever you are! 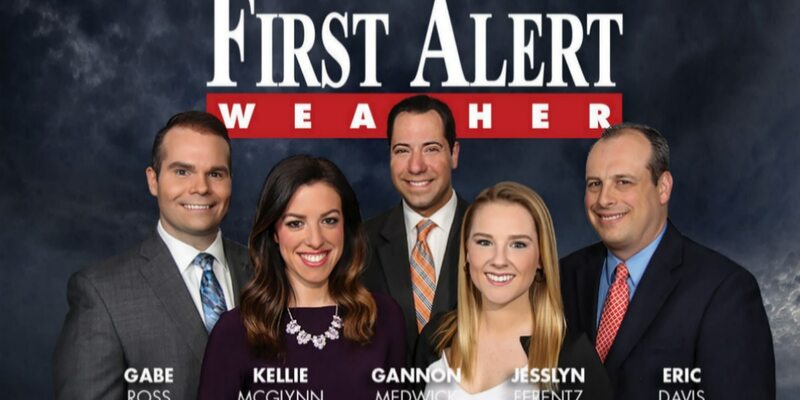 Kellie joined the WECT Weather Team in October of 2016. She was born and raised in Bethlehem, Pennsylvania - also known as the Christmas City. After Winter Storm Jonas dumped a record snowfall of over 30 inches this winter, she is thrilled to be in Wilmington forecasting tropical weather now!